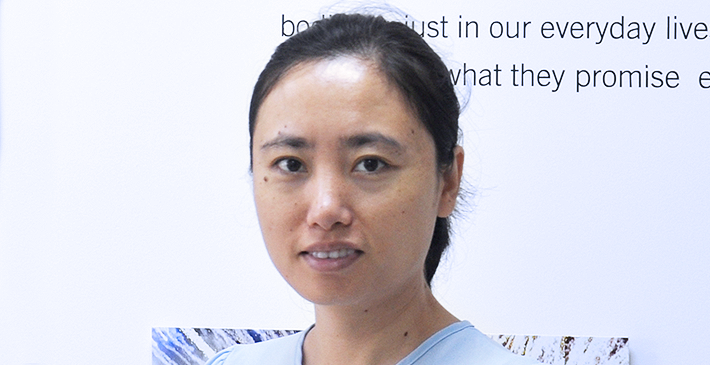 Linda Rong has been working at NCAB Group China since 2008. She started out by working with logistics at the Factory Management team and now she is working in the sales organization as a Key Account Manager. NCAB is a fast growing company, and it’s full of passion. Everyone has their own targets, but no matter in which country or job title, everybody has the same working direction according to our Group’s values, to make our vision “the number 1 PCB producer wherever we are” come true. And as an international company, I can learn a lot from different cultures and so many excellent and professional colleagues all over the world. How can you describe the culture within the NCAB Group? NCAB Group is an international company, with offices all over the world. Different countries may have different cultures, but inside the Group we all have the same structure, supported by the Group function and Factory Management team in order to make our support to customers fast and easy in the local language. All colleagues have the same vision and the same values, which guide us in a much more clear way to walk together. "NCAB offers us a wide development platform, where everyone in the team plays an important role to influence our target." Linda Rong about the development possibilities within the NCAB Group. All communication we make with customers reflects the image of NCAB Group. It’s important that we integrate our values into the daily work, with strong awareness to develop our global business in the same way and make the right decisions following our business culture and values. NCAB offers us a wide development platform, where everyone in the team plays an important role to influence our target. We can make decisions in our daily work, and our manager guides us to become better at what we do. I think the development possibilities are always there. More and more customers are aware of the importance of sustainability, which gives us a new interesting topic to discuss with them. Sustainability controls the supply chain and gives the customer security. Also, for us, it improves our working environment and our development. My customer service is based on the understanding of customer’s needs and their different characteristics. For example for an EMS customer, I help them to manage their different end customers, remind them about the different specifications to follow, and if there are any deviations in their requirement I will point it out to avoid any possible mistakes. And I would assist to hold technical seminars to add value to our service, and arrange DFM reports.